Entertainment is changing every single day and technology is playing big part in it. There are various VR headsets available in the market which are quiet affordable. More movies are now available in VR with the future looking as though viewing in VR will be common. It keeps improving with each passing day with promises of more too come. Now you get to enjoy your movie right at home. With watching movies in VR you get to be part of the experience. You feel as if you are in a different dimension, taken to places beyond your imagination yet you may just be sitting on the couch. It is time to say goodbye to watching movies in 2D, the world is moving towards VR. Watching a movie in VR has a lot of advantages compared to the normal way. Firstly if you have not tried it out you are missing out. The experience is out of this world. For those action packed movies such as Captain America which are usually meant to be watched in 3D theaters with the VR this is very possible. Instead of watching a movie in a boring way on your laptop or television. It is like having your own theater at home the same way you would view a 3D movie at the theater is the experience you get. In the long run you save money since going out to watch a movie will be no more. Another plus for the VR headset is that you are able to concentrate fully on what you are watching. All your senses are focused on the movie playing hence no distractions can interfere. As compared to using a television where people may keep blocking your view or changing the channel. That habit of checking your social media as you watch will be a thing of the past. Now you will not miss any part of a movie. It keeps getting interesting to watch a movie on VR. What you would have considered as boring may totally change your perception once you get to use the headset. 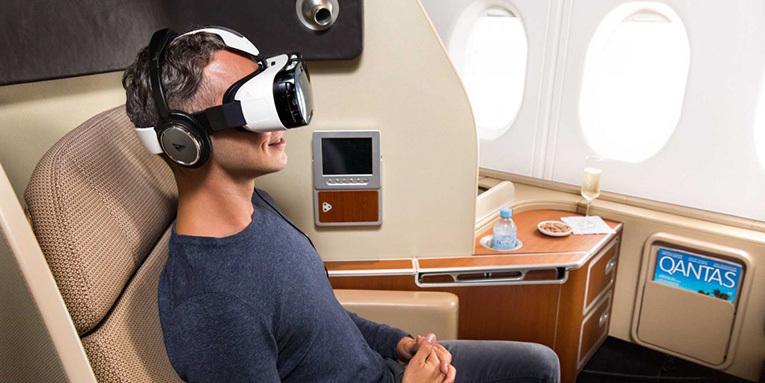 VR headset enable one to watch a movie anywhere you are. For example you may be held up at the airport for hours just put on the headsets and enjoy your Netflix. This surely cannot be compared to using a television where you have to wait for hours to go back home and watch your movie. This shows how VR movies are convenient for any place you are. If you know you are going somewhere where you will have time at your disposal a VR headset will come in handy. VR headsets are actually light weight. This is an easier option than carrying your heavy laptop around. Surely the technology is making life very simple for people hence buying a VR headset can never be a waste of money. Also the time you use to go out into a movie theater will be saved. Now your home is the entertainment place for you. Various apps have been launched to enable people get their movies in VR. Major streaming sites such as Netflix and Hulu have also invested into VR since they have seen the future impact it will bring to entertainment. They have made apps that enable one to get their movies in 3D. Below is some information on some of the major apps in VR movies. At the moment there is no doubt that Netflix is the world’s leader in streaming online movies. 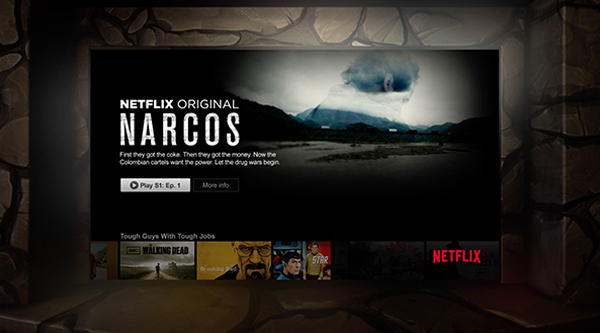 It launched Netflix VR app for its customers to get more better experience. The app is compatible with a number of different VR headsets. Now all it requires is you to get a subscription on the site and download the app on your phone. However,check which type of headsets are compatible with Netflix. The site has kept up its wonderful services and getting into VR is a major step. Hulu is also another leading site for streaming movies online. Your are required to pay a subscription fee to for their offers. Getting even exclusive content in VR. The site also has a Hulu virtual reality app where you can connect it a number of different VR headsets. Hulu has ensured all the major headsets are compatible with its app. SkyBox has done a great job to provide its content in VR, you can watch the movies you have saved on your phone or computer directly to your headset. All that is required is to download the SkyBox video player which is compatible with all VR headsets,set it up and get to enjoy all the videos you had saved. HBO provides awesome content for its subscribers who can also view it in VR. They provide its own VR app which mostly aimed to be used with the daydream view headset. This may be inconvenient with people using other types of headsets. This has caused a disadvantage to HBO as other streaming sites are compatible with different types of headsets. Surely VR is taking over the movie industry. So those who are in the movie business should consider getting into VR technology. As seen the major players in online streaming have already played their part by joining the trend. The future looks brighter for VR movies with more people purchasing the headsets. Quality of viewing is also expected to get better with time as the world is getting to understand the benefits that come with the technology. With other areas such as gaming driving the growth of VR shows this is an unstoppable development in the entertainment industry.